Remember this young, young age. When you were amazed discovering new sensitive experiences. You learnt to feel the world from the head to the foot by touching, hearing and soon, walking. At this time, your skin was smooth, resilient, elastic and ready to conquer the world outside ! But you were a baby. Today, it is different. When winter approaches your skin hurts. You take warm showers to subside but it makes your feet even more dry. And when finally the sun comes up, you hide them, because they now are like rocks. There is no respite for them, shall you find no ease, neither shall the sole of your foot have rest. 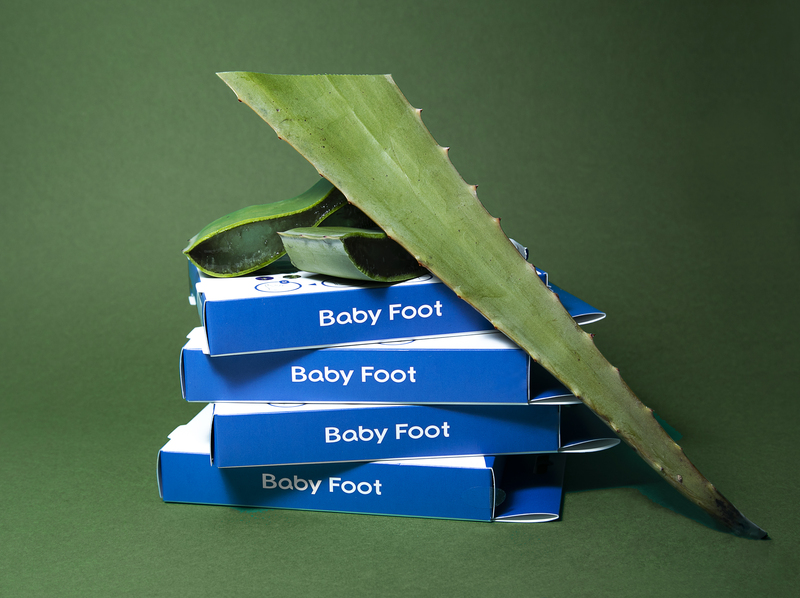 It is time to make revolution : Baby Foot ! A moisturizing mask made of natural ingredients that will make you recover a nourished and smooth baby skin. The one we all regret. Be ready to lose every gathered dead skin and makes your feet shine again. MR. DOB, PIMPED IN OFF-WHITE AT GAGOSIAN GALLERY !